Ability to Pay Guidelines Stark County residents can access behavioral health services regardless of their ability to pay through the Stark County Mental Health & Addiction Recovery (StarkMHAR) Care Network. StarkMHAR funded service providers accept various insurance programs, Medicare and Medicaid. Stark residents that are not covered by one of those options can receive services. Their ability to pay for those services will be determined by their income and could be fully subsidized by StarkMHAR. 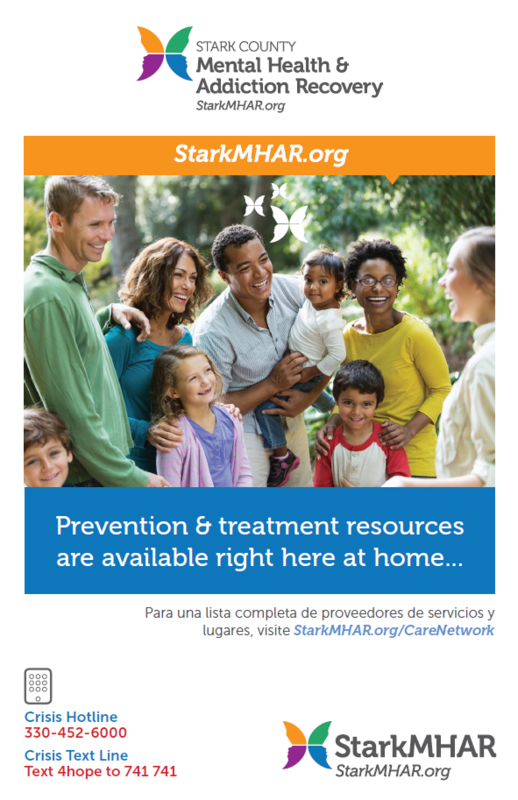 Click the button below to download a printer-friendly PDF of the StarkMHAR Care Network providers. In addition, several of our treatment agencies work with individuals without insurance coverage. Their contact information is listed below if you would like to schedule an appointment directly with one of these providers. Description: KidSummit is a private, non-profit, community-based drug prevention agency established in 1990 devoted to supporting a drug-free environment. We deliver a comprehensive range of prevention services that promotes abstinence from the use of alcohol, tobacco and other drugs (AToD). Our target populations for services are families with youth age 8 through adolescence. KidSummit focuses on education, community training, environmental, information dissemination, alternatives, problem identification and referral and outreach programming committed to providing families with healthy, positive activities verses AToD use, misuse, abuse and addiction. Description: Child and Adolescent Behavioral Health (C&A) is a full service, non-profit, trauma-informed mental health organization specializing in the emotional and behavioral needs of children, adolescents, young adults and their families. C&A services include: Front Door/Intake and Diagnostic Assessment; ADHD Clinic; Psychological Assessment & Consultation Services; Trauma-Focused Day Treatment; Early Childhood Services; Parenting Groups; After School and Summer Groups; Psychiatric Services; Trauma Team; Transitional Services; Peer Advocate Services; Sexually Inappropriate Behavior Remediation; Drug and Alcohol Services; Case Management; School Based Mental Health Services. StarkMHAR funded services offered: School-based Consultation, Trauma Informed Day Treatment, Prevention Programming, Early Childhood Services, Transitional and Peer Programs, Middle Childhood Services, Medical Services (psychiatry) , Trauma Services, SIBR Programming, MST and DBT Services. Description: Coleman Professional Services provides behavioral health, employment, and social services to Stark County, including Coleman Behavioral Health- serves adults with severe and/or persistent mental illness through award- winning services provided by our trained and licensed staff members. Coleman Employment Services offers employment services, vocational services, situational assessment, job coaching and professional vocational placement to individuals with disabilities. Coleman Social Services- includes Adult Protective Services, Mediation Services, Guardianship Services and Family Care Solutions. The Coleman Crisis center has 24/7 crisis support services. Description: CommQuest Services was created on August 3, 2015, through the merger of Community Services of Stark County and Quest Recovery & Prevention Services. CommQuest provides an array of mental health, substance use and social services to Stark County. Mental health services include counseling, CPST (case management), psychiatric services, supported employment and school-based mental health services. Substance use services include counseling, residential treatment, the Regional Center for Opiate Recovery (ReCOR) and prevention services at area schools. Description: Our mission statement is to promote recovery through Peer Support, Education, Networking and Advocacy. Foundations provides educational classes, recovery support groups and social activities to the volunteers that attend. Also we now offer satellite offices in Alliance and Massillon at Make-A-Way. Warmline is a caring voice, a listening ear, a helping hand and a shoulder to lean on. Respite recovery is a journey and for guests who are needing to be relieved of every day stressors for a little while. Our hope is that our guests leave more relaxed and better able to cope. Before things get desperate…Try Respite. Description: Every human needs a place to call home. ICAN Housing helps people who struggle with homelessness and mental illness to secure and maintain housing, access community resources and work toward personal goals. The agency owns and operates 43 scattered site residential properties in Stark County totaling 144 units. Additionally, the agency houses nearly 130 individuals and families with private landlords using subsidized vouchers. Housing types include permanent supportive housing, affordable housing, a residential facility and rapid rehousing. 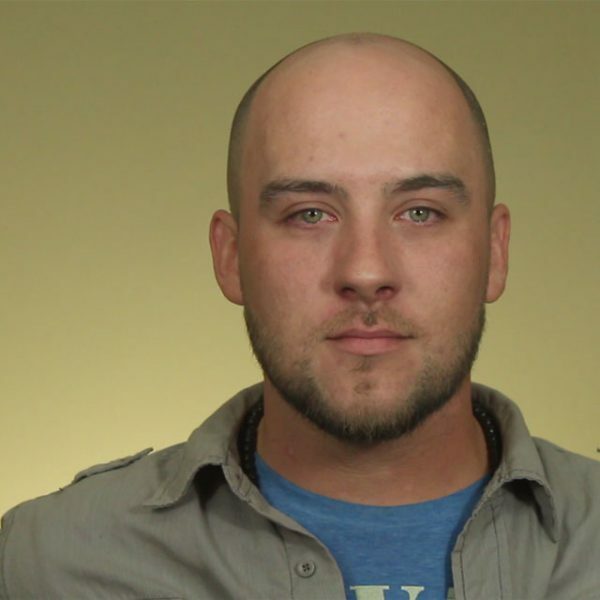 Many veterans are served through ICAN Housing. ICAN Housing uses cost-effective, evidenced-based practices to engage people who are homeless, assist them in overcoming barriers, gain housing and connect to mental health and other community-based services. The agency provides tenants with ongoing support to meet personal goals and to maintain stable housing. StarkMHAR funded services offered: Housing and Housing Supports, Homeless Outreach, HAP and REACH programs. Additional Location(s): All programs and administration are housed at 1214 Market Ave. N, Canton, OH 44714. Payment/insurance accepted: Services are provided regardless of the ability to pay. Description: The Make-A-Way Center of Massillon, OH, is a non-profit organization providing free social and recreational activities and also offers educational and peer support programs for its members who have mental illness and/or loneliness. Description: We are the county’s voice on mental illness and county affiliate of the nation’s largest grass-roots organization, NAMI National, dedicated to improving the lives of persons and families/natural supports impacted by mental illness. NAMI Stark County is a non-clinical agency providing support, education and advocacy. NAMI Stark County has support groups and educational programs throughout Stark County including Family-to-Family, Peer-to-Peer, Basics and HomeFront for those impacted by mental illness and their families/natural supports. We offer advocacy and Patient/Peer and Family Outreach and Support. NAMI Stark County provides workforce and community mental health trainings and awareness activities. Description: OhioGuidestone is a community solutions organization. We offer a unique blend of behavioral health treatment services, skill building programs and prevention opportunities for children and families. At OhioGuidestone, many of our clients struggle with a lack of education and life skills and don’t know how to access personal or community resources to help them improve their situations. We not only help resolve problems that already exist, but teach skills to help individuals become self-sufficient and prevent future obstacles to success. Our services help individuals not only to survive, but thrive. Description: Founded in 1973 Pathway Caring for Children is a private, non-profit social services agency. Our mission is to empower children and families to realize their potential and achieve the possibilities of their lives through innovative mental health, foster care, mentoring and adoption services. Pathway offices are located in Brook Park, Canton, Damascus, and Minerva, OH. Description: Stark County TASC, Inc. provides assessment, care coordination, case management and counseling services to adults and youth involved in the justice system who are dealing with substance abuse and/or mental health issues. Our services can be introduced to individuals at any time during the justice process – from arrest through probation or parole. TASC works with the adult court system, police departments, Stark County Jail and the Stark County Family Court. The mission of TASC is to strengthen our community’s resources so that the cycle of criminal activities associated with substance abuse and mental health issues can be stopped. Description: Community Response Team (CRT): As Victim Service Providers, we are committed to support families in their natural environment as they experience traumatic situations. Our goal is to provide support and assist in linking families to resources through other agencies and to help them after crisis situations. Community Support Service Initiative (CSSI): The CSSI provides neighborhood-based family centered services that will Identify, screen, link clients to mental health and addiction services and support and foster continued engagement to achieve positive outcomes for self, family and community. Description: Summit Psychological Associates is a full-service behavioral health agency located in Stark County. With over three decades in business as a mental health provider, Summit Psychological Associates offers the Smart Medication Assisted Recovery Treatment (SMART) Program which uses Vivitrol®, a once a month injectable form of Naltrexone which helps reduce cravings and block the effects of opiates for 30 days. Vivitrol® can be used to treat dependence to heroin, prescription opiates and alcohol. The SMART Program provides comprehensive mental health and substance abuse services. Description: StarkMHAR has approved funding for a Law Enforcement Liaison and Peer Navigator through a partnership with the Children’s Network of Stark County. The Law Enforcement Liaison coordinates countywide law enforcement activities for child victims of sexual abuse, severe physical abuse, human trafficking and exposure to violence. The Peer Navigator works with children and their caregivers to reduce barriers and help them connect to culturally relevant, community supports and services. Description: The Stark County Family Council works to build a quality system of care for families with children aged birth through 21 years through coordinating systems and services (at both the macro and micro levels), engaging and empowering families and building community capacity. To that end, High Fidelity Wraparound is a service planning and coordination process that brings everyone (e.g., school personnel, probation officers, counselors, pastors and any other identified natural supports) to the same planning table for individual youth with complex needs and/or who are at risk for out-of-home placement to help the youth/young adult and family succeed. The Wraparound team meets on a regular basis and works together to assess progress and make any necessary changes to the plan of care, based on needs being met. The Wraparound program is funded by Stark County Mental Health & Addiction Recovery, Stark County Family Court, Stark County Job and Family Services and Stark County Board of Developmental Disabilities. In-kind support is provided by the Stark County Educational Service Center. Stark County Family Council contracts with CommQuest Services to deliver the High Fidelity Wraparound program. StarkMHAR funded services offered: High Fidelity Wraparound. In addition, while the Stark County Family Council is not a provider of direct services, it is a cross-system planning body that meets on a regular basis to help build Stark County’s capacity to coordinate systems and services at both the macro and micro levels. Additional On-site Language Competency: Interpreters for sign language and Spanish-speaking individuals are available within the CommQuest Services team. Description: StarkMHAR has approved funding for a 16-week program through the Canton Museum of Art called Art for Health & Healing. During each period of this program, clients and staff from StarkMHAR contract provider organizations will participate in an art experience at the Canton Museum of Art. The museum has hired a program coordinator who will plan each art experience with a licensed art therapist and will facilitate the art activities for the clients and staff. Group leaders and therapists will accompany their clients while at the museum to use this art experience in conjunction with current therapeutic efforts and/or to offer support as needed. 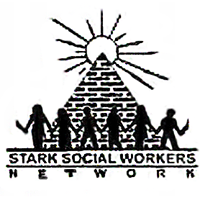 Description: Through a partnership with Stark Social Workers Network and We Are Troubled On Every Side (W.A.T.O.E.S. ), StarkMHAR has approved funding for a Community Response Team to provide support and assist in linking families to resources, services and help following traumatic events in underserved areas of Stark County. Download the brochure to learn more about StarkMHAR’s vision and mission.